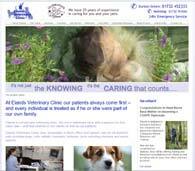 Elands Veterinary Clinic approached AIM to redesign their current website with a view to bringing it up to date with regards to design and Search Engine Optimisation. 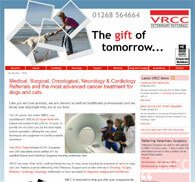 The VRCC is a veterinary referral centre, specialising in Medical, Surgical, Oncological, Neurology & Cardiology and the most advanced cancer treatment for dogs and cats. 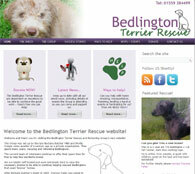 The website was an redesign on their exisiting site which brought it up to date in design and SEO. 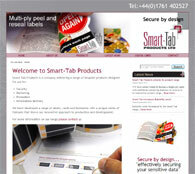 Smart-Tab Products Ltd are a company delivering a range of bespoke products for security, Marketing, promotion and information delivery. Security was a large part of the brief for this client because of the solutions they offer. Globee Ltd is a brand new company producing an innovative range of customised globes called globees. 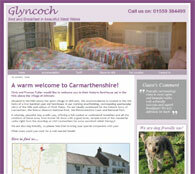 The website and online shop had to be ready for the company launch at the Spring Fair 2010. 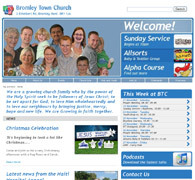 Bromley Town Church approached AIM to redesign their current website with a view to bringing it up to date with regards to design and Search Engine Optimisation. 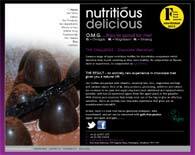 Nutritious Delicious is a new brand of chocolate. 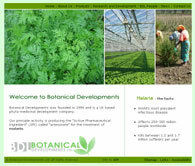 The site needed to include the facility for an online shop as well as a blog. 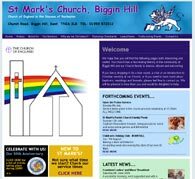 The Parish Church of St Mark in Biggin Hill, as well as being a vibrant Christian congregation, is a building of considerable historic interest, having been moved literally brick by brick from Peckham in South London. The church has recently been granted Grade II Listed Building status and their new website underpins their mission in their community. 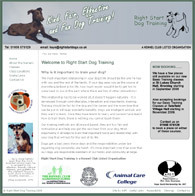 Right Start Dog Training is a dog training organisation offering a variety of dog obedience training classes in Tatsfield and Bromley, Kent. 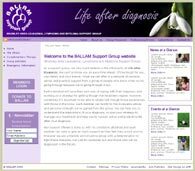 The Bromley Area support group for Leukaemia, Lymphoma and Myeloma wanted to increase their profile on the internet and approached us to do their first website. Electric Zones are a domestic electrical specialist requiring their first presence on the internet. The single page with contact us form is currently being designed.